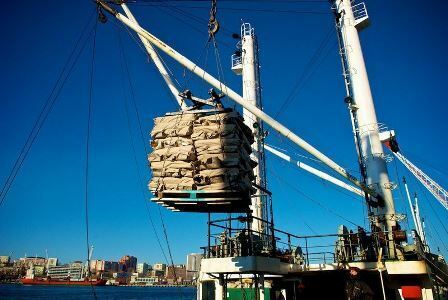 In January 2019, Vladivostok Sea Fishing Port (Vladmorrybport OJSC) handled 382,200 tonnes of cargo (+38%, year-on-year), says the stevedoring company. The growth was registered in all key segments of transshipment: containers – 16,382 TEUs (+29.3%), metal scrap - 32,200 tonnes (+23.6%) and others. In the reporting period, Vladivostok Sea Fishing Port handled 3,924 railcars and 70 vessels (+ 34%) including 16 vessels with 22,000 tonnes of fish (+2.3%). Vladivostok Sea Fishing Port JSC is one of the leading ports in Russia’s Far East able to handle up to 5 million tonnes of cargo per year including more than 200,000 TEUs. It is located on the southern coast of the nonfreezing Zolotoi Rog Bay. The quay line of 10 berths which is 2,020 m long, 10 km of railway lines and 3 locomotives enable the company to handle 71 wagons per day.